Finding the Humility - Confessions of an Athlete's Mom. I have had kids in athletics for 25 years now. It started when my oldest son was on a YMCA pee wee soccer team. Eventually, five of my older children played soccer in an expensive local soccer league and then on a more affordable and less aggressive homeschool league. My oldest son became a good swimmer and swam in high school. The others took up long distance running. As their mom sitting on the sidelines, I have seen my share of ups and downs. I remember my second son Sam's soccer team winning the championship in his 8th-grade year. 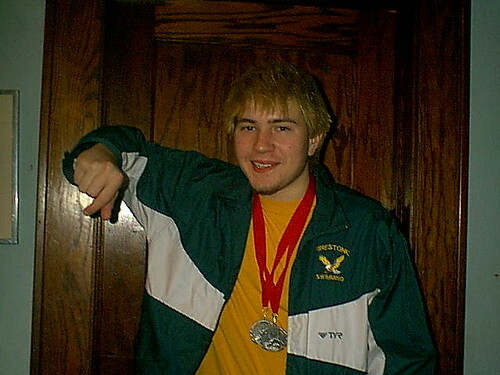 Calvin won two silver medals in high school for two swimming events. 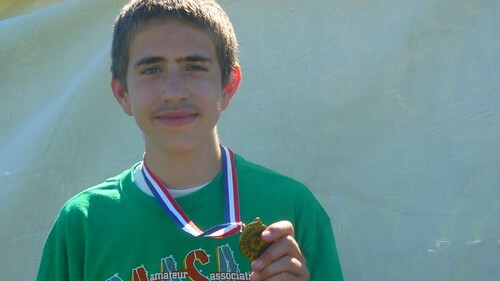 Noah made Varsity and ran for two City Championship teams. I even remember watching Rosie running 3rd place in a beautiful race two years ago and winning a personal medal at the end of the season. She even won a turkey once! I remember the highlights so clearly because there have been so few of them. Most of the time I have been encouraging and consoling my athletes that next time or next year would be better. In between times I did what I could to improve nutrition for different athletes, drove to practices, games, and meets, and bought swimsuits, soccer cleats, shin guards and expensive running shoes. And of course, I have paid fees - probably thousands of dollars worth over these past 2 1/2 decades. 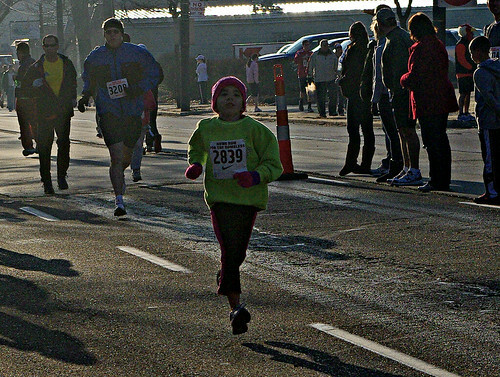 So when two of my kids started to be particularly successful in running, I felt as if I was finally being successful. We had done everything we were supposed to do, we persevered through the years of famine, and now it was harvest time! It was very satisfying. But the time was short, and over the past couple of years, I have had to deal with a new vice - pride. 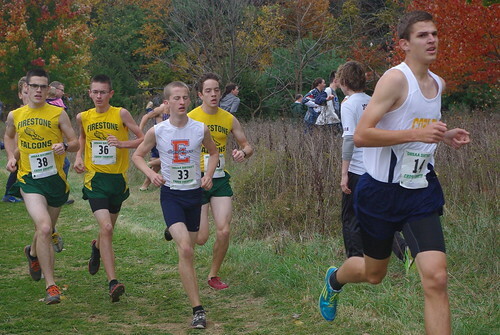 My high school varsity runner went from the top 7 in high school to the bottom 7 in college. 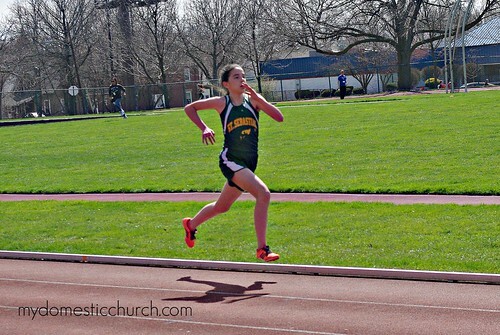 At the same time, I watched my Spitfire of a little runner get slower and slower as she morphed from a child into a young lady. I have remained encouraging to both of them. 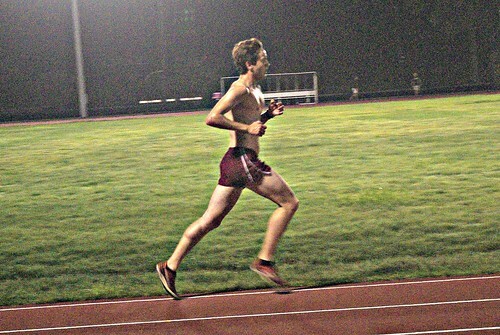 After all, my college runner just ran 5 miles in a little over a half hour. (That's crazy fast. It's just that the more elite athletes are crazy faster!) My little girl has been in the top 25 of 200 racers which hasn't been so bad either. 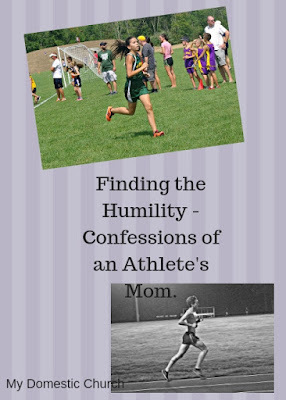 And yet when I watched my son come in last at a time trial, or my daughter come in two minutes slower than her PR time with girls she used to beat handily far ahead of her, I noticed I was feeling something new - embarrassment. I've had to wrestle with that a little bit. Why should I be embarrassed by two good kids that are putting in the work, training hard, giving it their all? The answer is, I shouldn't be. They are good athletes and more importantly, they're good people all the way around. It didn't take too much soul searching to figure it out. I was embarrassed because I felt that my own status had dropped. I'm not the mom of an elite runner; my kids are not going to be stars on their teams and most likely neither one will medal at all this year. I started to mourn that for them, but surprisingly even more for ME! And then I realized that I had allowed that pride in their accomplishments to become something that defined me as their mother. When they started to lose that status, I felt ashamed and embarrassed. I had made it about me and not them. That revelation put it into perspective - I had committed the sin of pride, a feeling of deep pleasure or satisfaction derived from one's own achievements, in this case, I guess my achievement of producing champion runners. A quick trip to the confessional and taking it to prayer is what it takes to get a new perspective and a clearer, healthier attitude about sports, and my children's involvement in them. I have been humbled, which frankly is never fun, but it is freeing. I'm free to enjoy the race, enjoy the atmosphere with other parents, and just watching my kid do their best or their worst knowing that the world will keep spinning on its axis and life will go on just fine tomorrow. Maybe that's why humility is such a powerful virtue. There are a few more weeks in this season for me to put these new revelations into practice. I'm printing out this list and going over it before every meet and practice, particularly #5, "accept small irritations with great humor". In the long run, these are small irritations and I'm old enough to know that. I guess God knows it too - I've just been called to jury duty! That will be a chance to suffer other small irritations with great humor!